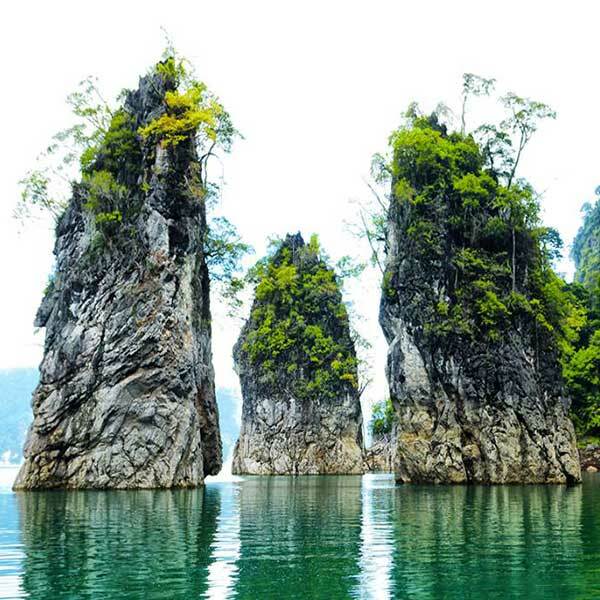 Do yourself a favour, if you are looking for for something different to get away to for your trip to Thailand, check out this 2 Day & 1 Night Holiday package at Cheow Lan Lake. Staying at Greenery Panvaree Floating Resort, this is a wonderful and relaxing couple of days to get away and eat, go on a short adventure, and experience a different part of Thailand. Ang Thong, which translates as “Golden Bowl” is an archipelago of 42 islands in the Gulf of Thailand. The archipelago and karst to pography, which rise rock formations and these islands are uninhabited and undeveloped. 12.30 Arrive at “The Greenery Panvaree Floating Resort”, Check-in after relax and have a great lunch. 19.00 Have a great dinner at the resort. 06.30 Morning activites “Morning Safari” boat cruise around “Cheow Lan Lake” and enjoy of natural view that full with fog and watching of animal or bird. 07.30 Have a great morning breakfast. 10.30 Arrive at Ratchaprapa Dam, and finish program. Electricity is available from 17.00pm. – 09.00 am. Greene Bar offers snacks and beverages. Refreshment towel and welcome drink upon arrival. Combination of weekdays + weekend or weekend + holidays (3 DAYS 2 NIGHTS) will cost 570.-THB extra. Child age of 0-4 years free of charge without extra bed, child age 5-11 years will be charge 50%. All National Park entrnce fee for foreigner is not include. Longtail boat transfer from Ratchaprapa Dam to Resort Round trip. Any shopping that you buy and any food that you eat. Private full day fishing trip for 1 – 4 pax. Choose whether you want to go on a full day or night time fishing cruise, both are a lot of fun. Great trip to book for groups or families. Thai cultural Tour Hidden Mon Community Bangkok. This is a real local Thai cultural experience, a taste of a different Thailand & have a lot of fun dressing up, dancing, listening to music and sampling Thai desserts.